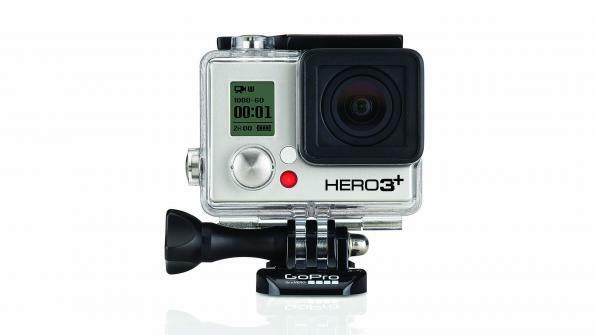 Action camera maker GoPro is rolling out products that should interest the public sector. The company also aims to raise $100 million or more in a potential initial public offering (IPO). Action camera maker GoPro aims to raise $100 million or more in a potential initial public offering (IPO). At the same time, the San Mateo, Calif.-based firm is rolling out products that should interest the public sector. The company has been on a roll— GoPro shipped a total of 3.8 million units of its high-definition, pocket-sized video cameras last year in more than 100 countries, according to a Security & Exchange Commission filing. The company’s main product offering is action cams — small, weatherproof, mountable and/or wearable video cameras that offer quality video and long battery life. The cameras were initially marketed for extreme sports fans, but other kinds of hobbyists have quickly discovered new applications for them. One example is unmanned aerial vehicle (UAV) or drone flyers, who mount the GoPro cameras on their aerial platforms and record breath-taking video in the heavens. “We are just starting to get the government, education and public sector side of the business going,” says Wayne Sexton, who handles government and education sales for GoPro. “There are several applications for our products in government.” Some of the inquiries from governments that Sexton has received include queries from environmental and biology project managers. “Being able to go underwater and do a lot of testing for various government agencies in seas and waterways is a potential application,” says Sexton. In this video, shot with a GoPro camera, a father-son team rescue several deer stuck out on the ice in the middle of Albert Lea Lake in Minnesota.